Nineteen Drug Court participants are expected to graduate. 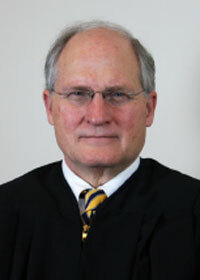 Circuit Judge Andrew K. Howorth will preside over the ceremony. It is the 14th graduation ceremony for the Drug Court, which began operation in 2007. The program usually conducts two graduations ceremonies each year. A total of 49 people completed the program during calendar year 2017. Each participant must spend at least three years under the supervision of the Drug Court and comply with all program requirements before being eligible to graduate, said Drug Court Coordinator Brandon Vance. Current enrollment for the Third Judicial District Drug Court is 278 participants from Lafayette, Benton, Calhoun, Chickasaw, Marshall, Tippah and Union counties. Due to the large size of the program and the distance that participants must travel, participants meet in Oxford and Ripley. Judge Howorth supervises participants assigned to the program in Oxford, and Circuit Judge Kelly Luther supervises the group in Ripley. The mission of the Third Judicial District Drug Court is to enhance public safety by providing substance abusers with cost-effective, multi-disciplinary alternatives, including substance abuse treatment and monitoring. The mission also includes improving participants’ quality of life and returning those participants to the community as productive, law-abiding citizens; reducing the rate of recidivism; and breaking the drug addiction cycle. Employment data reported to the Administrative Office of Courts showed that 77 people who came into the Third Circuit program during calendar year 2017 became gainfully employed. Thirty-six participants regained custody of their children or obtained visitation rights, and eight drug-free babies were born to Drug Court participants last year. Drug Court participants paid more than $100,000 in fines in the Third Circuit. Statewide, more than 3,600 people are enrolled in 42 drug courts. There are 22 adult felony programs, 14 juvenile programs, three misdemeanor programs and three family drug courts.